A Federal High Court sitting in Lagos will tomorrow continue a lawsuit filed against Abubakar Malami, Attorney-General and Minister of Justice by MTN Nigeria over alleged back taxes owed by the number one mobile phone company in the country. The mobile company had last year asked the court to restrain the AGF from recouping taxes allegedly owed by MTN Nigeria in the wake of fines imposed by Central Bank of Nigeria (CBN) for alleged illegal repatriation of $8.1 billion between 2007 and 2015. MTN Nigeria told shareholders that while it has resolved the alleged illegal repatriation issues with the apex bank, it is proceeding with the court action to restrain Abubakar Malami, Attorney-General and Minister of Justice from asking the mobile phone company to pay back taxes to the Nigerian government. 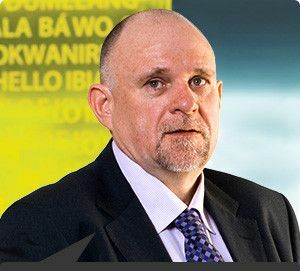 “MTN Nigeria continues to maintain that its tax matters are up to date and no additional payment, as claimed by the AGF, is due, and consequently no provisions or contingent liabilities are being raised in the accounts of MTN Nigeria for the AGF back taxes claim”, the mobile phone company says about the injunction being sought against the Nigerian top law officer. The AGF matter came up for initial mention before the Federal High Court of Nigeria Lagos Judicial Division on November 8, last year and was adjourned to February 7, 2019, according to MTN. MTN also says it has reached a resolution with Nigeria’s apex bank over the alleged improper repatriation by the phone company $8.1 billion in connivance with some local banks. “MTN Nigeria has held various engagements in order to find an equitable resolution to the matter. In particular, a series of meetings were held in Lagos with CBN officials during November 2018. At these meetings MTN Nigeria provided additional material documentation which satisfactorily clarified its remittances”, the mobile phone company says.